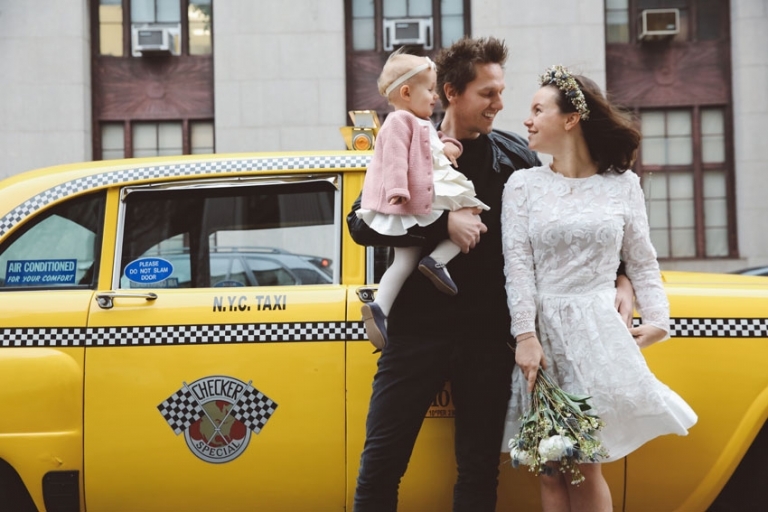 Merle and Pol moved to NY recently from Holland and wanted to elope capturing the vibrancy of the city and some of its icons, specially during Christmas time. 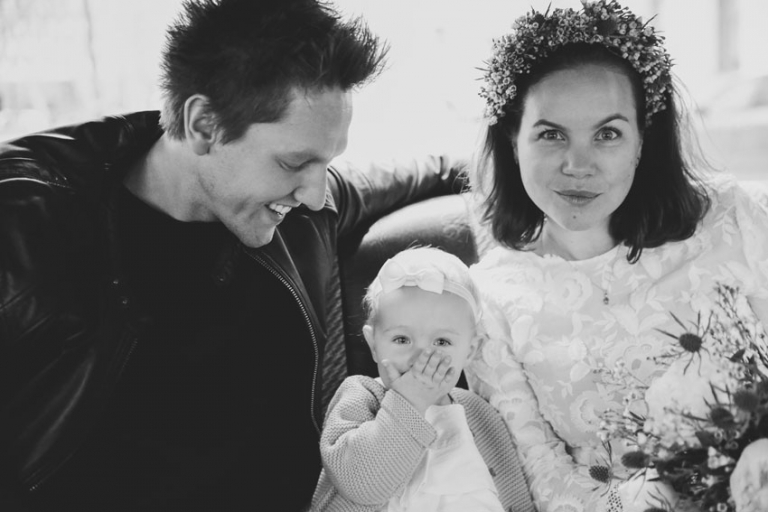 We spent a lovely time with them and their super cute little daughter. 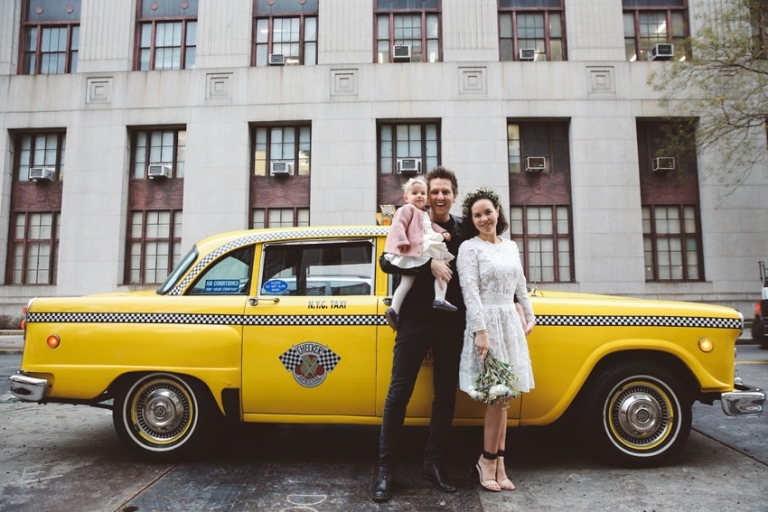 It was wonderful seeing them arrive to the City Hall on a vintage checker yellow cab. 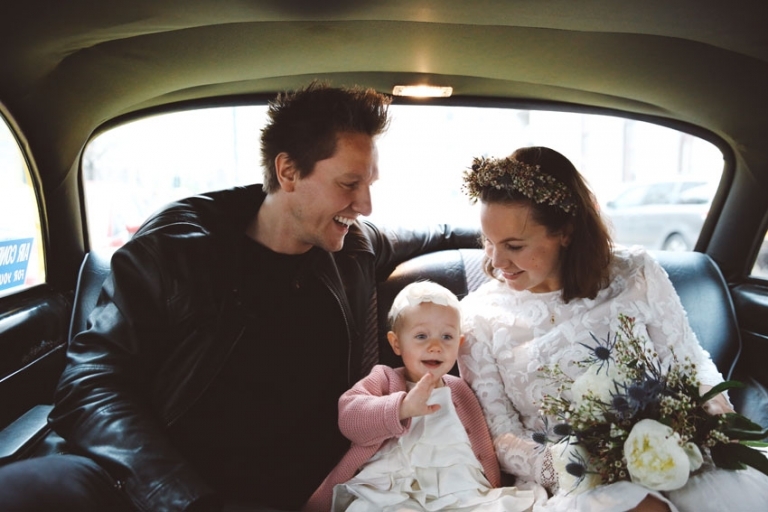 They are both a very creative couple and loved the way they plan their wedding!